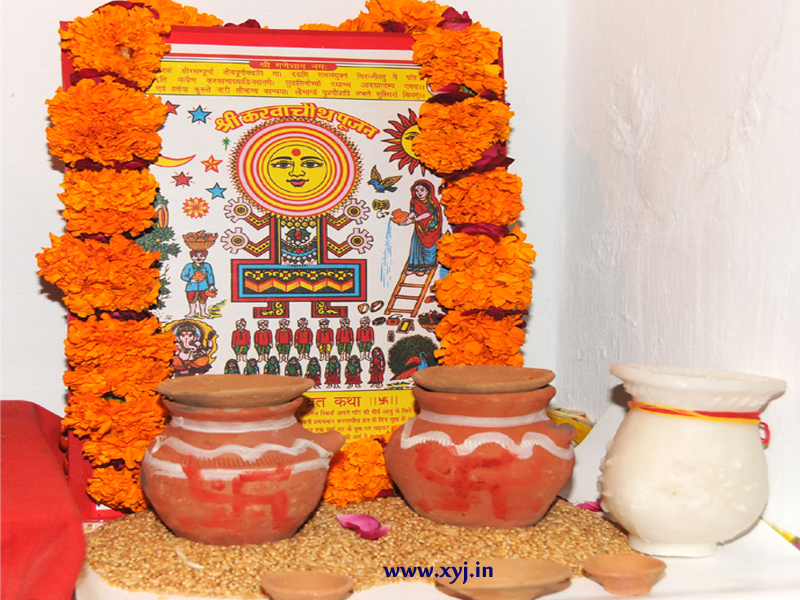 Chhat Puja is a famous festival celebrated mainly in the states of Uttar Pradesh and Bihar. It is also celebrated with great joy in Nepal, by the Hindu community settled there. This Hindu festival comes after Diwali and is dedicated to Surya, the Sun God and the basis of life on earth. The puja extends over a period of four days and is known by various names such as Chhathi, Dala Chhath, Pratihar and Surya Shashthi. Chhat PujaVidhi refers to the ritual observed during this four day long festival. Basically, it is a fasting ritual by women, which they observe to seek long life for their sons and happiness for their families. The first day of Chhat Puja is known as Nahay Khay, which involves a dip in the holy river Ganga. Also, women observe a rigorous fast with just a single meal in the entire day. During the second day of the festival, known as Lohanda and Kharna, the fast is even more difficult as teh woman is not even to drink water till the sunset. As the sun sets, she has to offer food to the sun first and then break the fast. The third and the most important day of the Chhat festival, is called Sandhya Arghya, when a full day fast is observed without water. 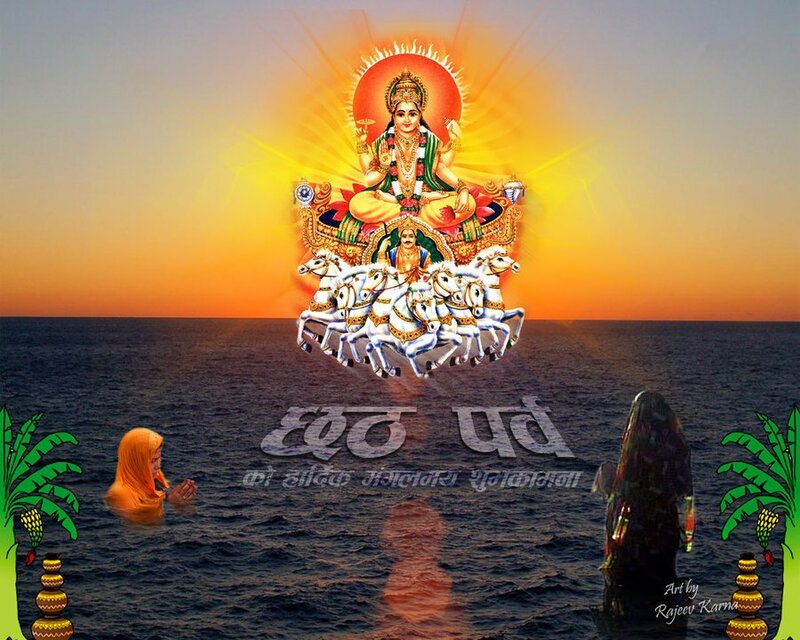 The woman again fasts for the entire day without water and offers arghya (water) to the setting sun, which happens just once on this day during the entire year. The fast is however continued till the fourth day, which is known as Parana or Usha Arghya. It is so called because, on this day, arghya is opened to the rising sun and the fast is broken after a period of 36 hours. The Chhat Puja in 2016 begins on 4th November and ends four days later, on 7th November.